Finnair has launched an Easter offer for flights to Asia. Bookings have to be made by 13th April for travel between now and 18th March 2018. The Finnair website is here. Iberia has launched a 10% off promotion for flights to Madrid in June and early July to celebrate World Pride in Madrid. If you want to travel to Madrid between 18th June and 7th July and book by 2nd July you will get 10% off any flight to Madrid with Iberia, Iberia Express and Iberia Regional Air Nostrum. The promo code to use during the booking process is WPMADRID2017. The booking website is here. National Rail is currently running an Easter Sale. If you buy a 16-25 or a Family & Friends Railcard before 24th April you will pay £25 instead of £30. The website to buy the Family & Friends Railcard is here, the website to buy the 16-25 Railcard is here. You need to enter the code EASTER5 to take advantage of this offer. Quick update on the denial of BA lounge access at Gatwick I mentioned on the 25% off Iberia story on Tuesday. Summary – girlfriend is BAEC Silver and was flying on an Iberia Express economy ticket with IB flight number; refused lounge access as “she wasn’t flying business”, but no issues at EDI or MAD on same trip. After a fair bit of back-and-forth, Customer Relations have confirmed she should have had access in these circumstances – they have apologised for inconvenience and embarrassment and awarded her 5,000 Avios as compensation. I think she’d rather have had the lounge access without the rejection but it’s not a bad outcome by recent standards. Whether others will have similar hassle remains to be seen. Thanks for the update. Same circumstances here so I will hold my ground if I’m turned away next month! Just told my brother who had same issues. Let’s see if he gets 5k avios for his ‘humiliation’. Surprising to hear this happened. I flew from LGW to EDI in economy and used Air Berlin status to access the lounge, yet they turned away a BA Silver. 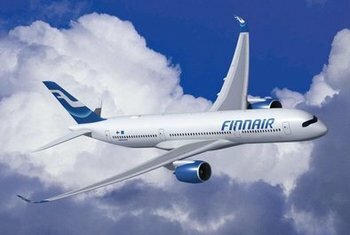 Most Finnair offers are only available for flights departing in the next 2-3 months. The Shanghai fares are only good for May and September and there aren’t many dates for that £1300 fare (most involve flying on a Tuesday or Wednesday and back a week or 2 weeks later). I have got one on hold though – can’t resist at that price! I did spot that but I don’t have enough vacation days left to take advantage. Ah well, next time. Ive got a BA First return booked for April 28th – 170,000 avios + Taxes… Now im wondering if its worth cancelling and paying cash for Finnair….So many variables I cant make up my mind. If it was Qatar that would be a completely different story. No brainer if you ask me, first off 170,000 avios is a huge chunk, I’d value it at about £700 as an absolute base working on converting face value clubcard vouchers then add that to the £500 tax and your basically at the finnair price. On top of that you’ll get 15,000 avios as just a blue member plus 440 tier points which sees you well on the way to BA silver. I did a LHR-HRL-PVG on Tuesday on finnair A350 all the way, fantastic experience. Cathay T3 lounge serves full cooked breakfast and was very quiet in the morning. The long haul food that finnair served was also brilliant, the spicy beef was one of the best in flight meals I’ve had. A350 is a lovely plane to fly. If raffles objects to the link (please delete if so) but I have (re) started my blog as I chase GGL for the second time in 3 years, its 4 days delayed which hopefully will help me make sure it gets a daily update as I can stack content when I’m not able to devote enough time to writing. Did we meet on the helicopter trip that BA used to offer from Nice to Monaco when you booked a short holiday there? Interesting blog – and good luck with the mission. Cormac, yes remember meeting your partner and yourself in Monaco, very small world!! Always good to bump into fellow HfP’ers!! The deals appear to end around Oct 17. Christmas is £1800.